If you live in a house with no central climate control, or if you're making an expansion to your house and it's impossible to get a ducted system in place, a ductless setup may be your only hope. Nest, Ecobee, and the dozen other smart thermostats we often talk about aren't compatible with ductless systems, so you have to start thinking creatively if you want connected climate control. The solution comes in the form of small units that can send the same infrared signals as an air conditioner's (AC) remote, but that are themselves WiFi-enabled for remote access. 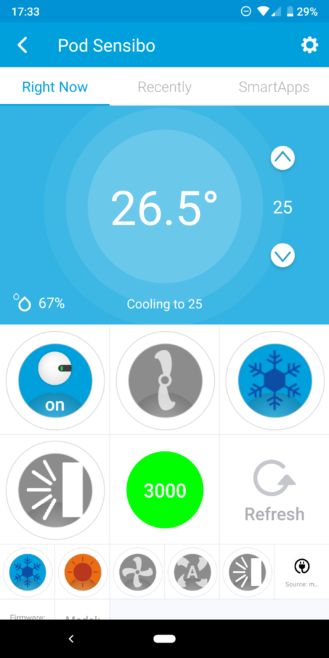 Earlier this summer, I reviewed the Cielo Breez, one of the potential candidates that can smarten up your AC, heat pump, or floor standing unit. 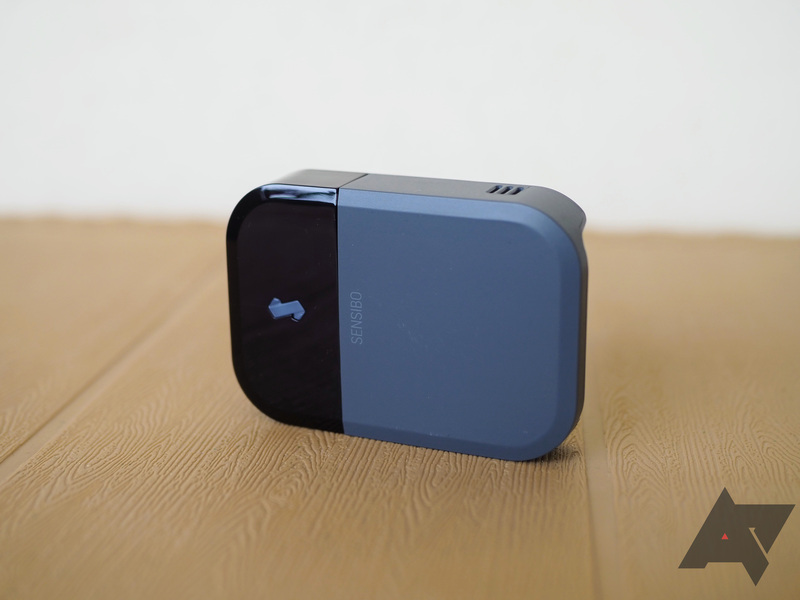 I praised it a lot, but was slightly letdown by the outdated design and a few gaps in its smart home compatibility. A few readers recommended I check out Sensibo's alternative solution, so I managed to get my hand on a Sensibo Sky. I have been using it for about a month in my home and have almost nothing but praise for it. 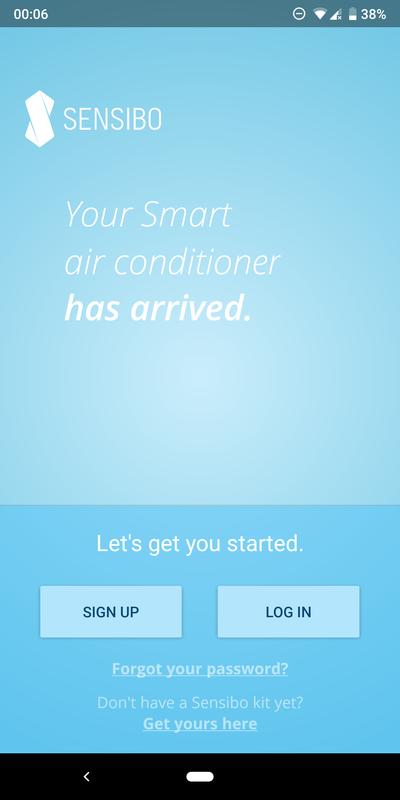 In this review, I will use the word AC to refer to the ductless unit I'm controlling with the Sensibo Sky. That's because I have a split AC unit. But keep in mind Sky works with many other types of ductless systems. You can check if your remote is compatible here. Setup It takes less than five minutes to get the Sky mounted, turned on, and set up. 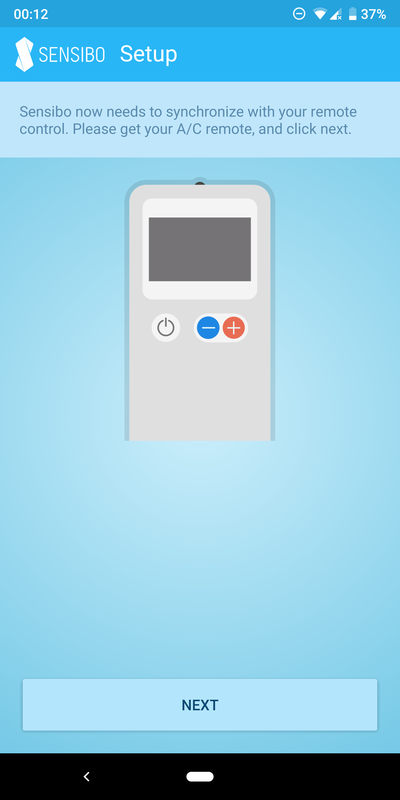 Synchronizes with the AC's remote You don't need to hide or stop using your regular AC remote. Sky picks up the signals coming from it and synchronizes its state accordingly. 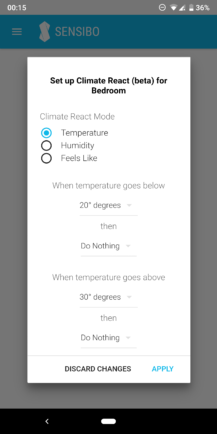 Automations You can create schedules, turn on geofencing to toggle the AC when you arrive/leave, and set up climate reactions that adjust the conditions automatically. 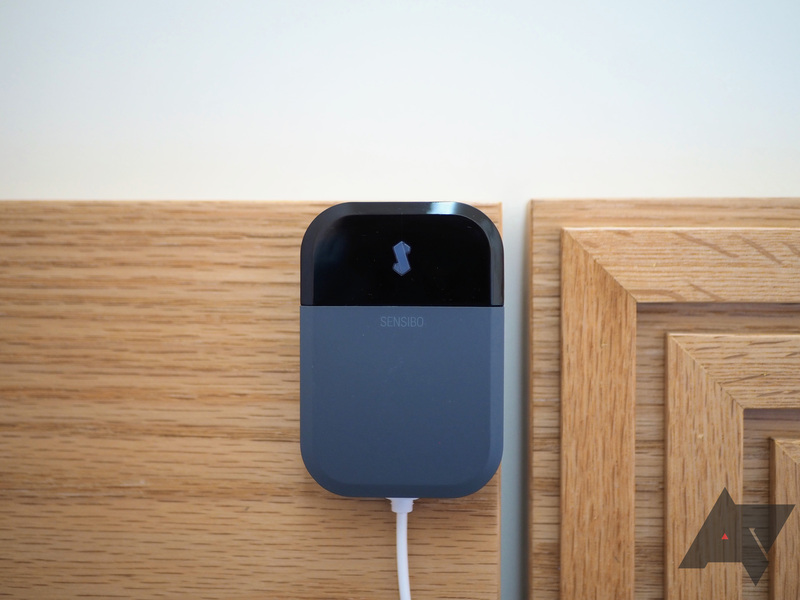 Smart home integration Sensibo Sky works with Google Assistant, Amazon Alexa, and IFTTT. 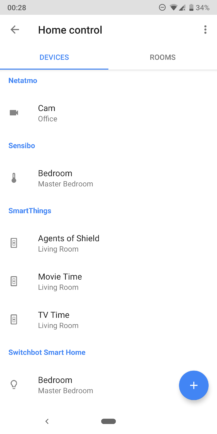 Open API Sensibo has an open API with plenty of community contributions, including OpenHAB and SmartThings. No manual learning mode If your AC's remote isn't supported, you can't teach the Sky its commands manually. Update: Sensibo tells us this is due to the intricacies of AC remotes, but its customer support can reach out to you and add any remote in about 10 minutes. Price The Sky's price fluctuates a lot. At an MSRP of $149 or a regular price of $119, it's more expensive than similar offerings. Try to get it when it's less than $100. 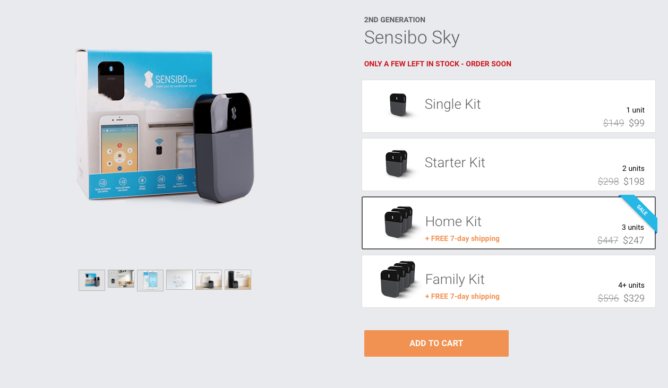 The Sensibo Sky is a very minimalistic unit. Its rectangular shape is covered with dark grey matte plastic and glossy black plastic on the front. A Sensibo logo hides an LED light that turns blue when the unit is connecting. The build is good but not overly sturdy, though for a unit you're likely to install once and never touch again, this isn't an issue. 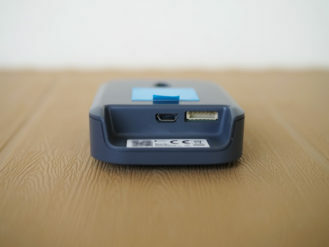 The back of the unit has a MicroUSB port for power, an identifying barcode, and some regulatory inscriptions. There's another port too there, but I'm not sure what it's exactly for. 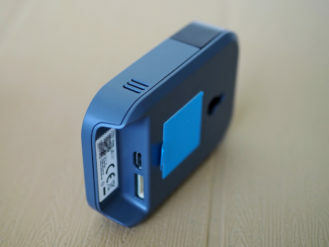 The Sky ships with a USB charger and a USB-A to MicroUSB cable. I found that very convenient as I was able to plug it into my multi-port USB charger next to my bed. 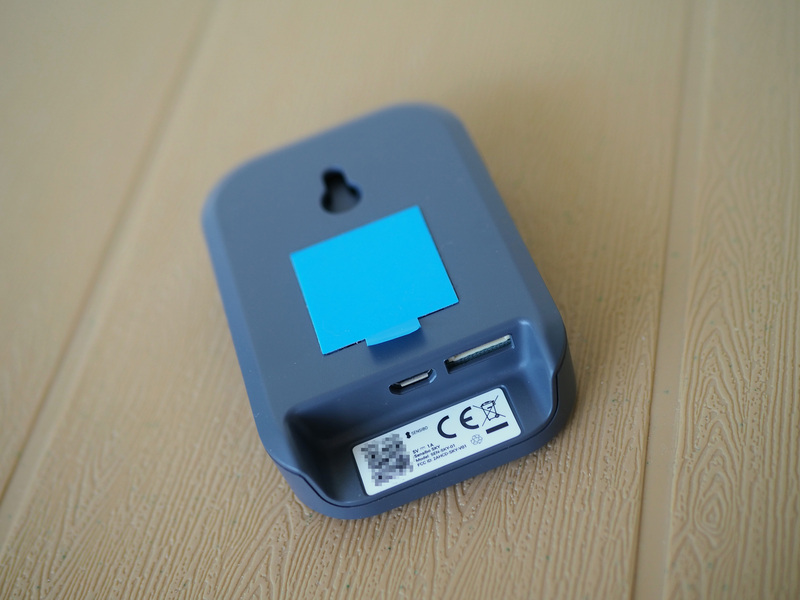 The back has a hook as well as a sticker so you can choose whichever mounting method works better for you. 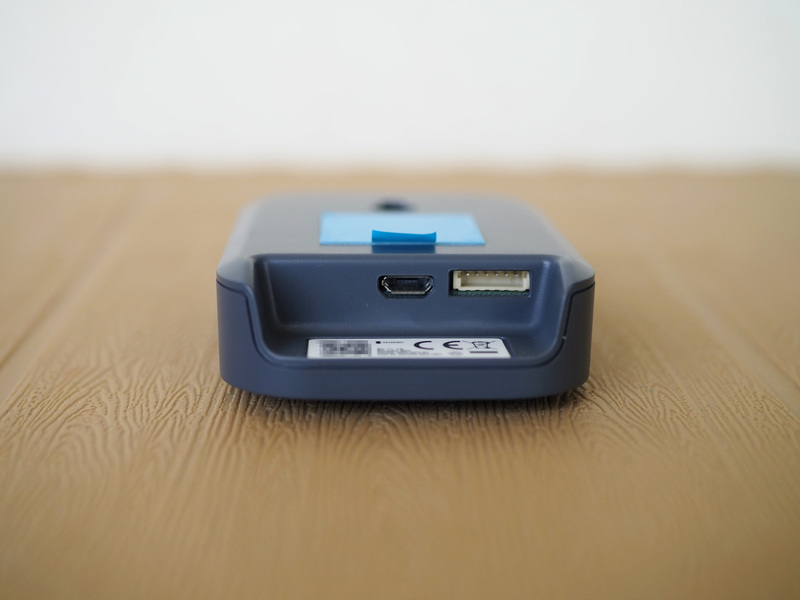 After you plug in the unit, the blue LED light blinks and you can get started with the setup. Grab the Sensibo app and follow the steps to create an account (no Google login, sadly), introduce your unit, teach it your WiFi network, and synchronize with your AC's remote. 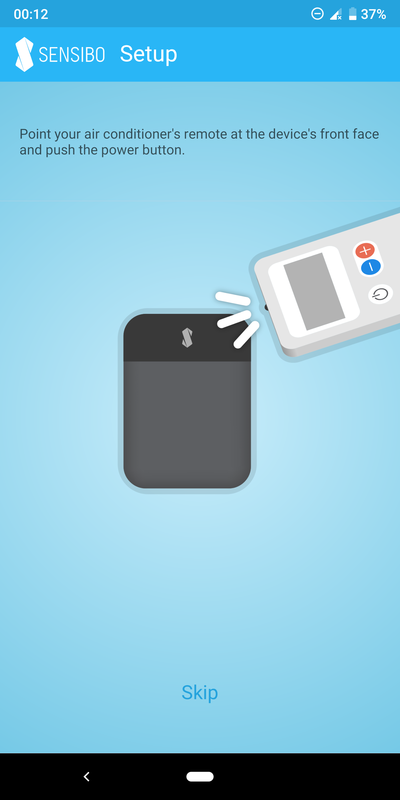 Sensibo works with plenty of brands and remotes, and if yours is compatible, it shouldn't take more than a couple of seconds for Sky to recognize it and get going. In less than five minutes I was into the app getting my preferences and schedules set up. 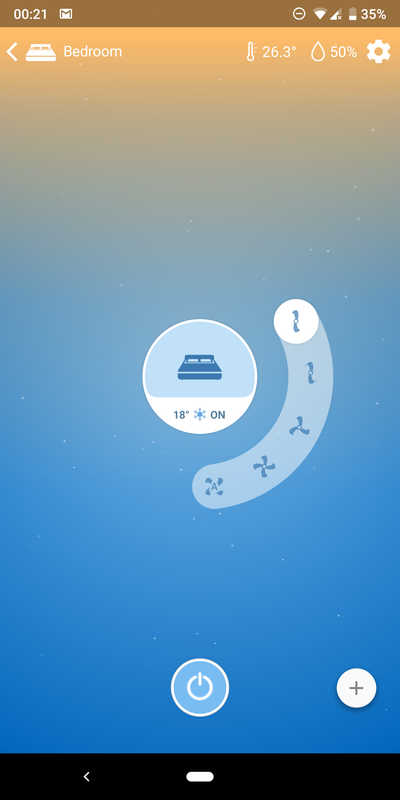 Controlling the Sensibo Sky can be done in one of several ways. There are apps for Android (widget above), iOS, and the web. 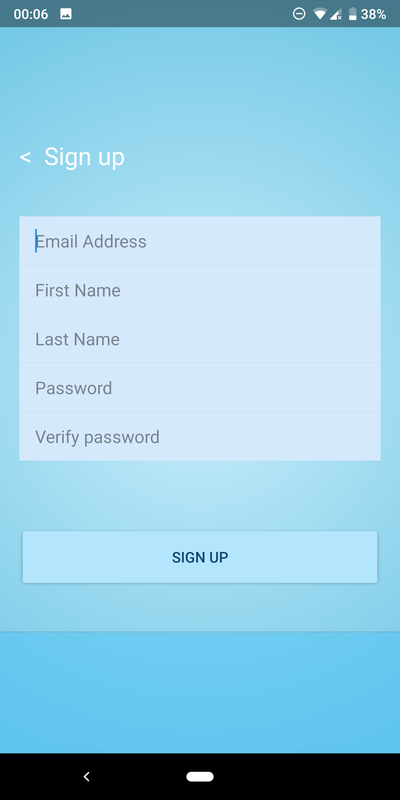 The Android app is responsive and more or less well designed. The main screen lists your different locations and Sensibos, with a quick overview of the current conditions. Choosing a unit expands into a fullscreen control with gradient hues that change according to the time of day. It's a small but neat touch. The interface is all round there, with icons to control the power status, mode, temperature, fan speed, blade direction, and timer. I really enjoy how the different options span out of each button in a circular layout too, but perhaps the icons should be a tad larger. They're quite tiny. You still get the current conditions on top, a settings icon, and a floating action button to quickly set up some automations. There are three ways you can automate Sensibo: schedules, geofencing, and Climate React. 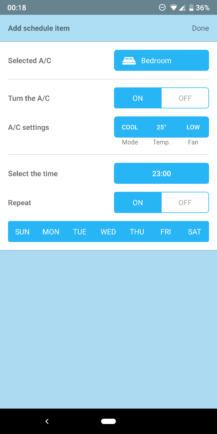 Multiple schedules can be set and repeated on various days of the week; you get to pick the temperature, mode, and fan speed too. 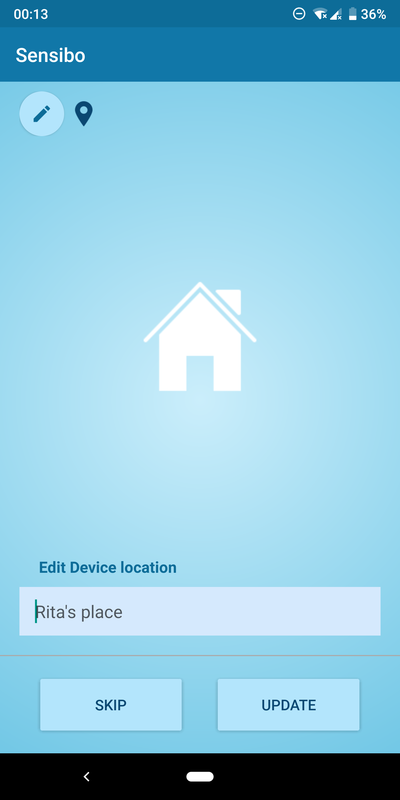 For geofencing, you can choose for Sensibo to turn off the AC when you leave, and on when you arrive. However, the most interesting automation is Climate React. 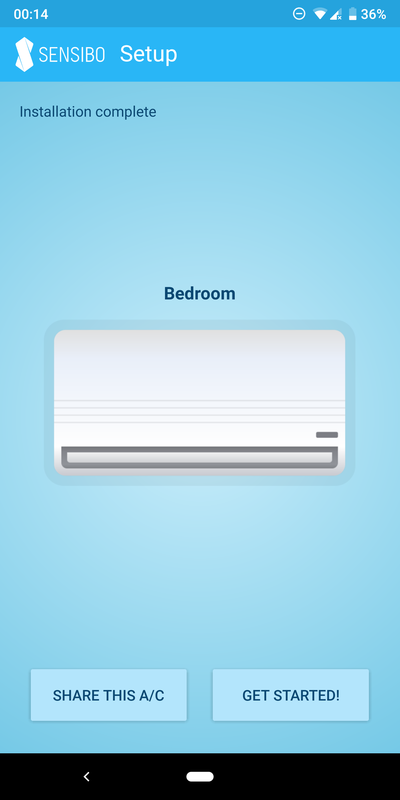 This lets you have the AC adjust when the current conditions (temperature, humidity) go below or above a certain threshold. Left: Schedules. Middle: Geofencing. Right: Climate React. 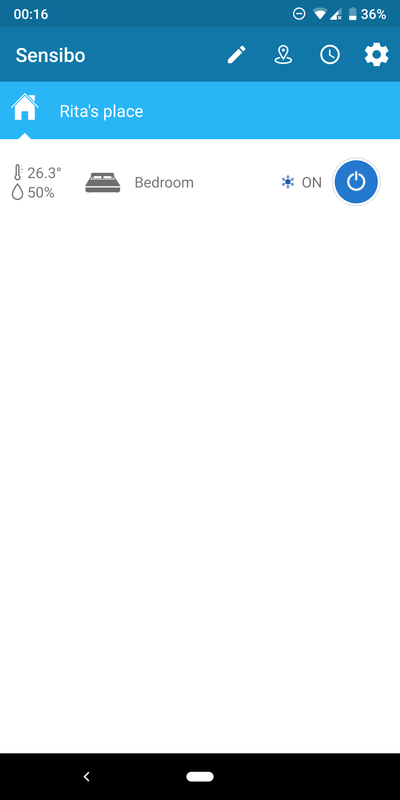 The app comes with a few additional settings and options. 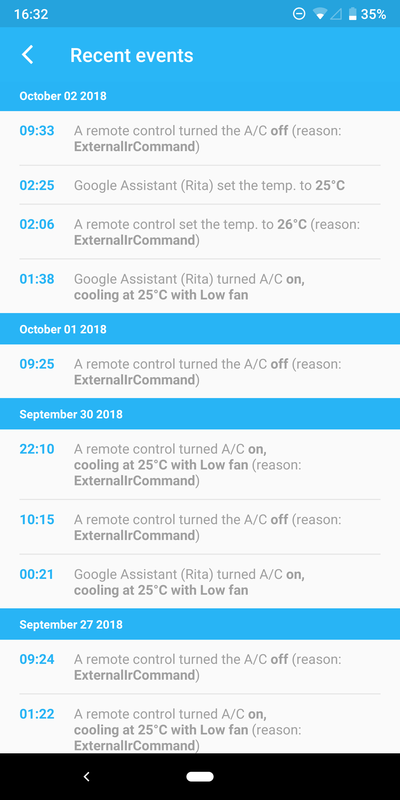 A log of recent events lets you see who changed the settings (a user, the AC's regular remote, or Google Assistant) and there are push notifications to stay abreast of any triggered automations. More interestingly, you can share the AC with another member of your household or office, an option that many smart home devices neglect to include and that's necessary when there are multiple adults in charge. Left: Sensibo options. Middle: Log of recent events. Right: Push notifications. 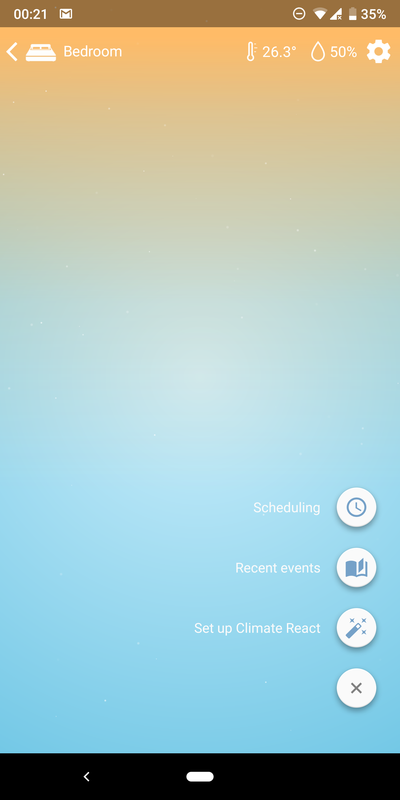 Overall, the Sensibo Android app does nearly everything I want it to. 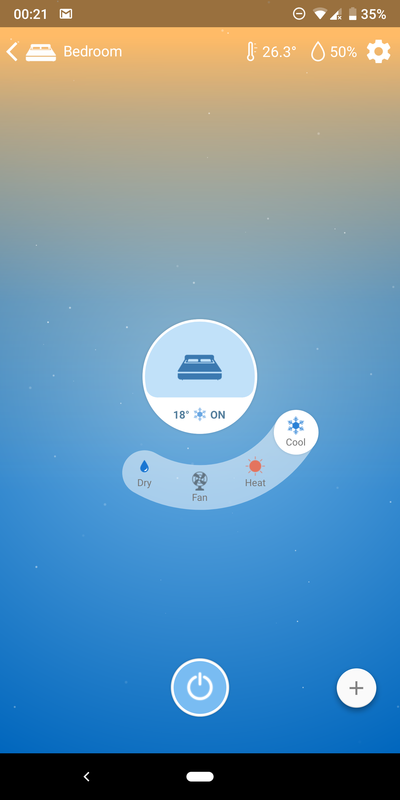 The only thing I find missing compared to Cielo Breez are the neat statistics for usage and temperature. A notification when the AC has been on for a long period of time would be welcome as well. 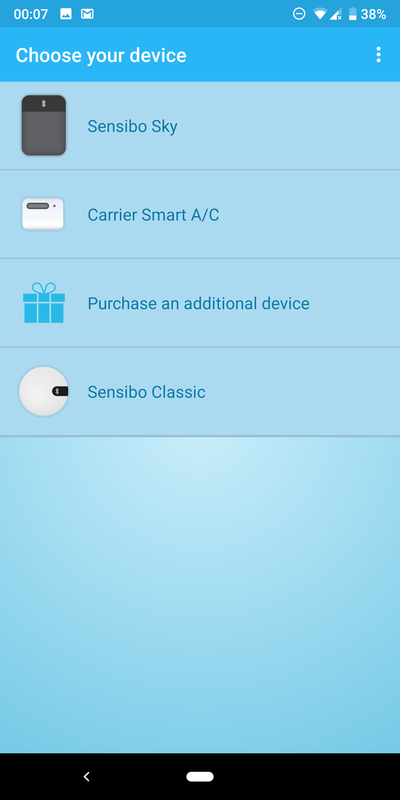 The most convenient aspect of Sensibo is its wide smart home compatibility. It's natively supported on Google Home and Assistant (list of commands), Amazon Alexa, and it has an IFTTT channel. 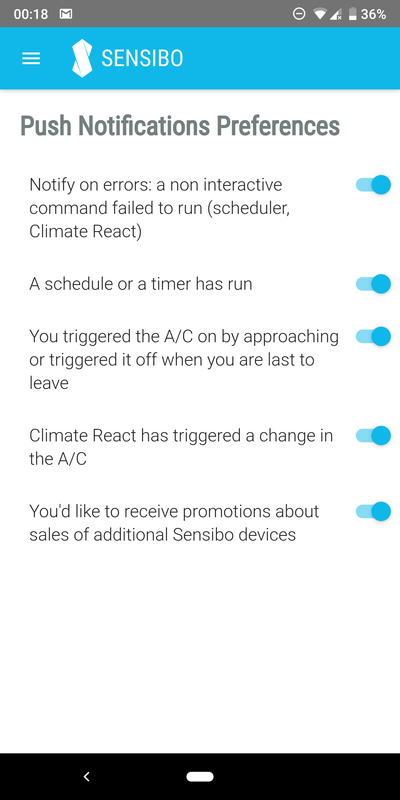 The latter has actions but no triggers, so you can only use IFTTT to turn on/off Sensibo based on some other service's condition. 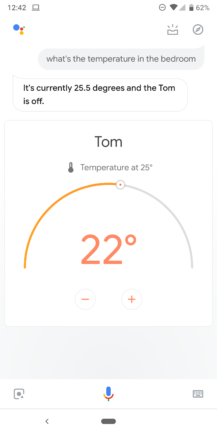 For Google Assistant, your Sensibo unit shows up as any thermostat would. 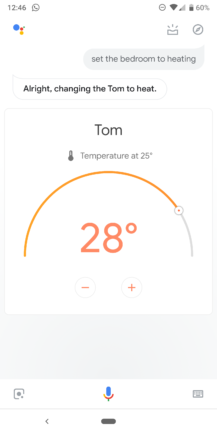 You can assign it to a room, give it a nickname (Tom, in my case — Jerry is the Cielo Breez in the living room), turn it on or off, change the temperature, add it to a routine, and even ask it about the current temperature in the room. Sensibo's Google Home and Assistant integration. The same commands are available on Google Home, or any Assistant speaker or Smart Display. 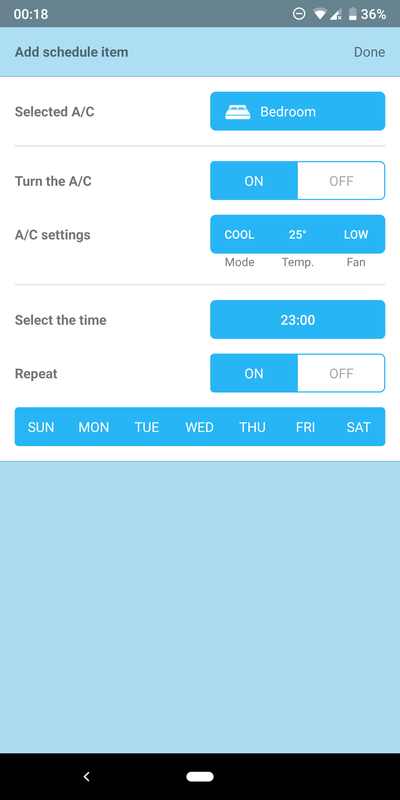 I tested Sensibo with my Google Home, my JBL Link 20, and JBL Link View, and had no issues, save for the fact that temperature settings can be a little finicky — at least in Celsius. In the video below, you can hear me ask for 22 degrees and yet the AC gets set to 21 degrees. I had this same minor problem with the Cielo Breez too. When I use the Android app, both Sensibo and Cielo set the temperature accurately, but when I ask Assistant, I might get one degree less or more, so there must be something getting lost in translation on Google's side. Update: Sensibo has reached out and explained this was happening because my unit shipped from the US and was identified with Fahrenheit settings even though I had chosen Celsius in the app. 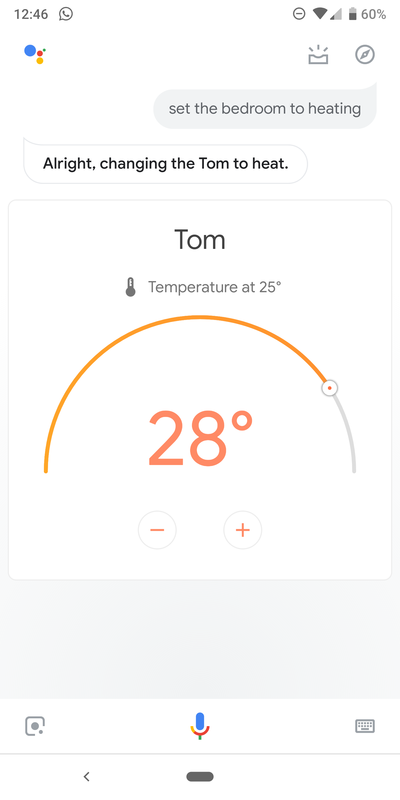 By fixing that, Google Home can now perfectly set the temperature each time I issue a command — I was successfully able to ask for every degree from 18 to 30. Sensibo also has an Open API and a list of integrations, some of which are user contributions. 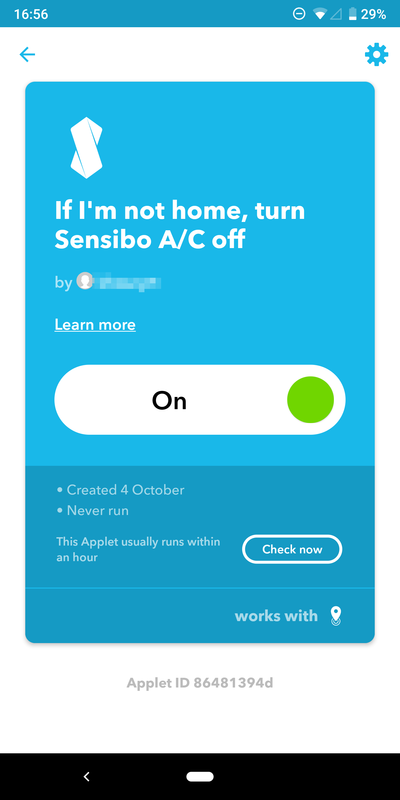 I used this SmartThings tutorial to add Sensibo to my hub and I'm now able to control the AC from the SmartThings app, as well as add it to my routines and scenes. 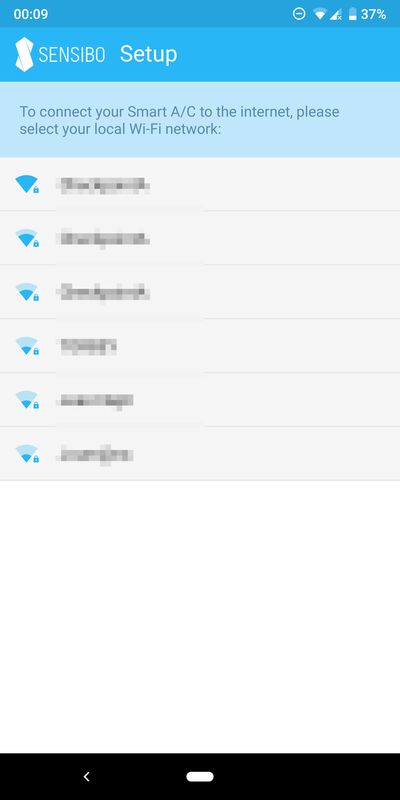 This level of openness makes Sensibo much more interesting if your smart home setup isn't conventional or if you'd rather have backup options in case you decide to move away from your current choice of hub or voice interface. 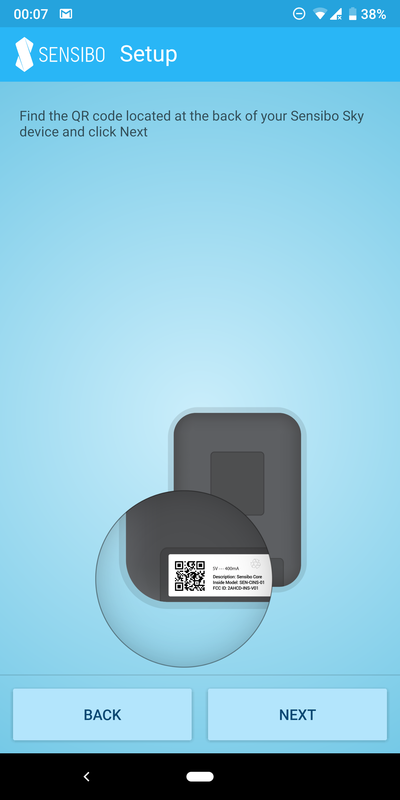 Left: Sensibo IFTTT applet. 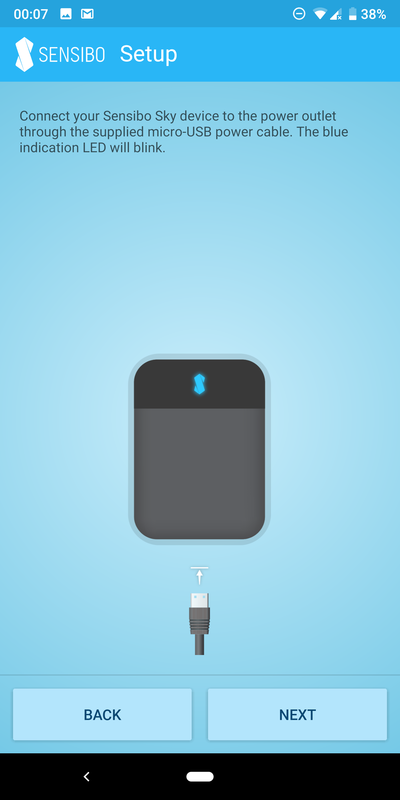 Right: Sensibo in SmartThings. Yes, if you can find it for less than $100. 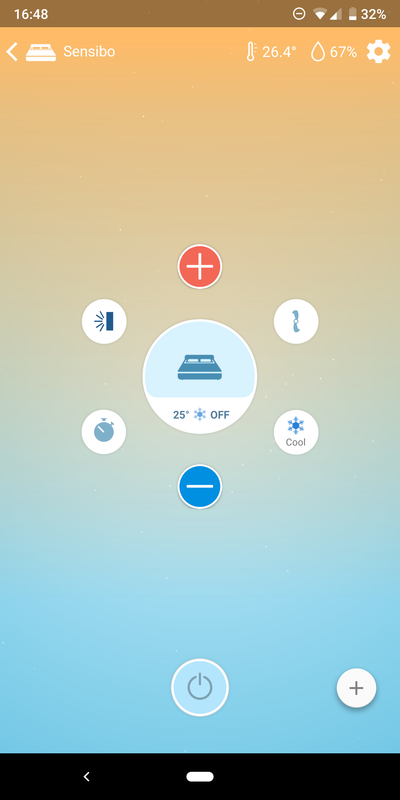 Depending on your habits, a smart AC like Sensibo can pay for itself in less than a year. 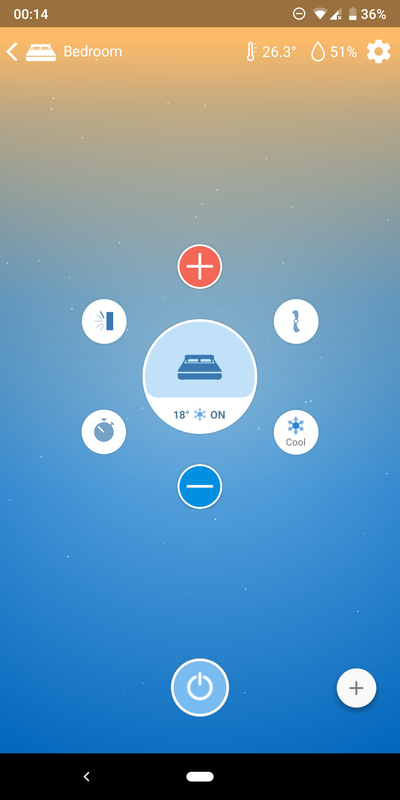 If you often leave the AC on when you leave the house, or if you set it to a very hot/cold temperature when you turn it on and leave it at that the entire time, having something that automatically adjusts while keeping your environment comfortable is not only convenient, it's also very energy-efficient. The smart home integration is a big bonus on top of that. 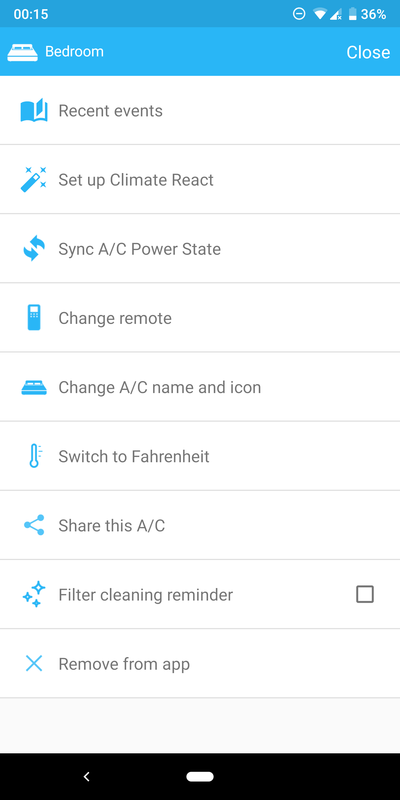 Not only can you control your AC remotely, you can issue voice commands to change its settings, as well as add it to a multitude of other home automation systems. In the month that we've had the Sky installed in our bedroom, my husband and I haven't had to touch the app. 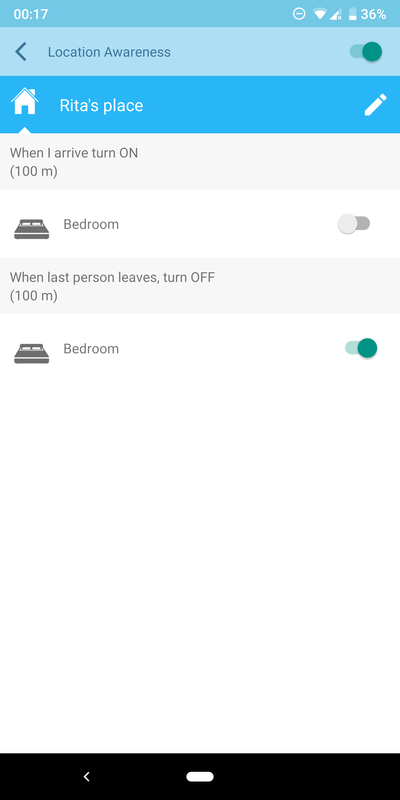 I set up a schedule for the AC to turn on at night, so the room is already comfortable by the time we go to bed, I added a geofence so the AC gets turned off if we leave the house (which came in handy a couple of times), and I included it in a few SmartThings routines. For other circumstances, asking Google Home to control it is super handy, and when I don't feel like talking to a machine, I can still use the AC's remote without worries that it might mess up Sensibo's state. 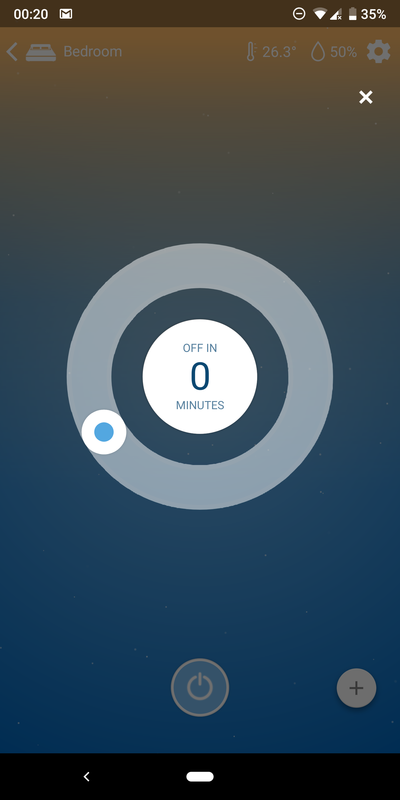 It's a no fuss experience that simplifies my life — everything that a smart home gadget should be. However, at its MSRP of $149, or even its current price of $119, the Sky is a little too expensive. In terms of hardware, it has less hardware than the $99 Cielo Breez (no display, no stand, no buttons), and even if I prefer the minimalistic look of Sensibo, the higher price isn't justified. In terms of features, Sensibo wins by having IFTTT integration, an open API, and an option to share the AC; but Cielo has those very interesting stats and graphs plus more powerful notifications. Both units get the essentials right and work in a very similar manner, so it's hard to choose between the two, but I would personally go for Sensibo if I can find it below $100. Such price drops do happen occasionally. 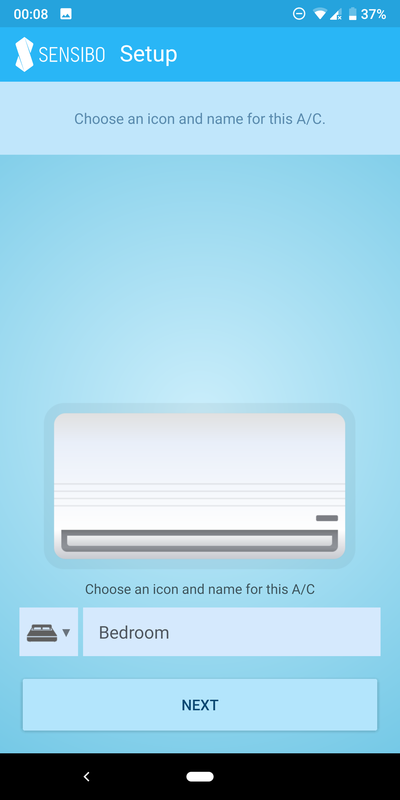 You're looking for the most minimalist, versatile, and easiest smart AC installation. Beside Google Home/Alexa, you want your smart AC to also be integrated with IFTTT, SmartThings, and/or plenty of other smart home platforms. You're undecided between a few other alternatives, but price is not an issue. In my opinion, the Sensibo Sky is the most complete option you can get. You're trying to save money and the price of this smart AC controller seems a little steep — there are several other options for $99 or less. You'd rather install the unit on a table stand and/or you want detailed usage stats — Cielo Breez should suit you better. 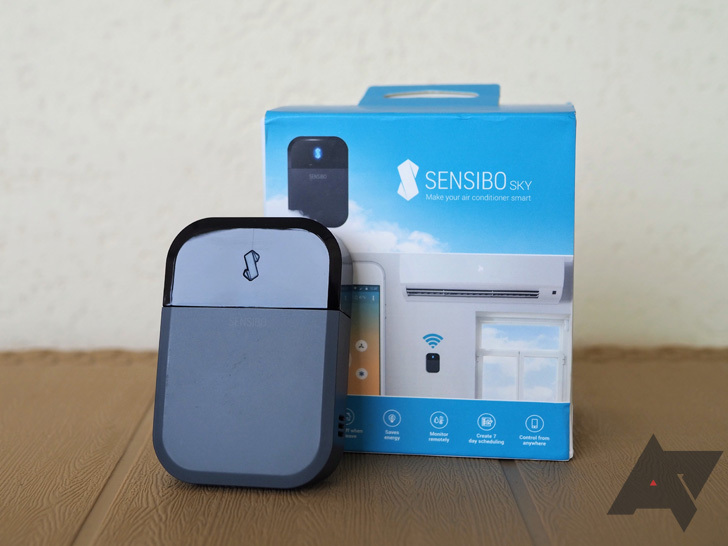 Sensibo reached out to us after seeing the review, and since I mentioned that the Sky would be a more palatable buy under $100, the company has issued a special discount coupon for Android Police readers. Use this link or coupon code ANDROIDPOLICE99 to get the prices on Sensibo's website down to $99 for a unit, $198 for two, $247 for three, and $329 for four. We don't know how long the code will be valid for, though, so you might want to act quickly.